Nickel oxide is readily reduced by Ar+ sputtering. 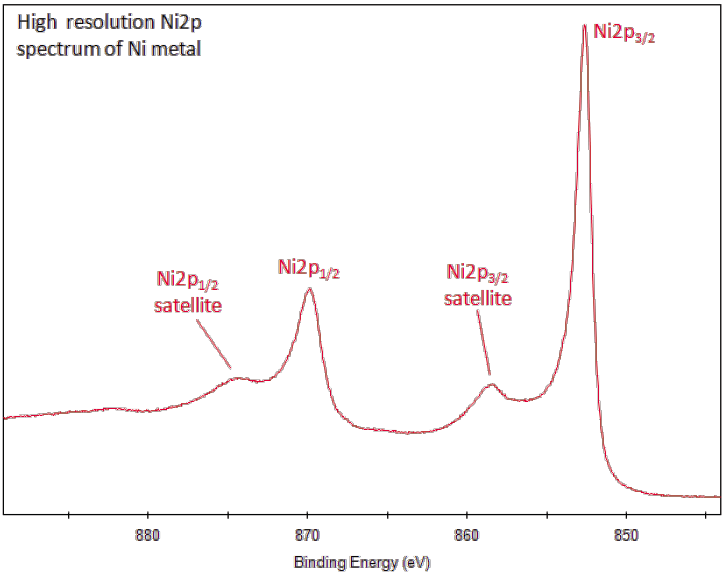 Ni2p peak has significantly split spin-orbit components (Δmetal=17.3eV). Ni metal spectrum has complex shape. Mixture of core level and satellite features. Satellite features not to be confused with oxidized nickel peaks. 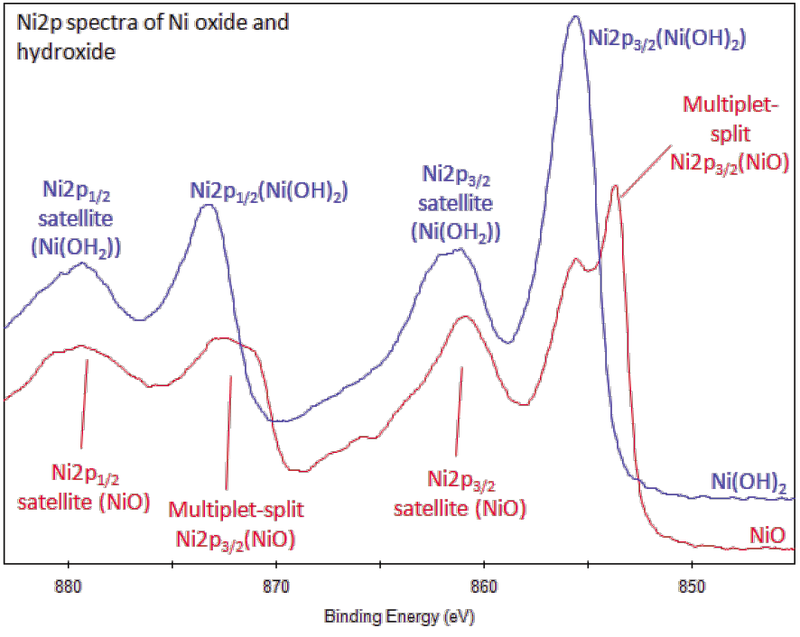 Ni compounds can also have complex, multiplet-split peaks. The consumption of nickel can be traced back to 3500 BC. The majority of the supply of nickel is believed to be located in the Earth’s core, while Canada, Russia, New Caledonia, Australia, Cuba, and Indonesia house accessible deposits of nickel. Most of the nickel consumed in the Western World is used to make austenitic stainless steel. Nickel steel is used for armor plates and vaults. Nickel is also used in the five-cent coins in the United States and Canada (called nickels). It also makes up crucibles that are used in chemical laboratories. 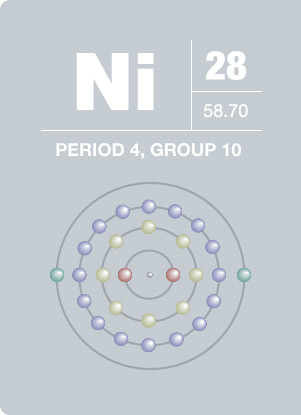 One of its isotopes, nickel-56, is produced in type II supernova. The light curve of the supernova is associated with the decay of nickel-56 to cobalt-56 and then to iron-56. Nickel sulfide fume and dust is believed to be carcinogenic and nickel carbonyl gas is extremely toxic.